Your four-year-old baby is already used to with self-sleep. But it may not like to stay sleeping all the night. 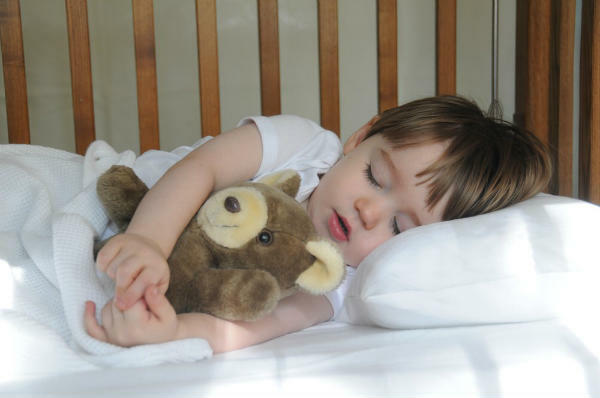 Many parents are worried by their four-year-old child’s sleep regression. Now, this may happen for the different reason. For example, change of schedule, or the environment, etc. Or, the old crib has got just too old for the kid. This may be a part of your babies growing up too. Parents try to find reasons and get tired. You have opportunities to ask experts or your own parents. Usually, the elderly people of the house are always experts in this case. Now to ensure perfect sleep for your four-year-old, there are some facts to be followed. Let us discuss them now. Baby must have a healthy atmosphere for sound sleep. If you keep visiting the room, it may create sleep regression. So, if you even need to visit the room, be quiet. Avoid noise as much as possible. This harms anyone’s sleep. Again, do not turn on the light of that room. If it is too much necessary, try using a dim light. Sound and light interrupt babies sleep. If your baby sees too much light after just opening eyes, it will definitely start crying. Your baby can get afraid of this. Also, it is very harmful to baby's eyesight. This is a must for getting your baby back to sleep. If your baby wakes up crying, that means, you need be beside him or her. Maybe, it is horrified somehow, or just some sound woke it up. Now, give your baby some time and obviously some love. Cuddle her nicely, or tell a bed-time story. Not any ghost story of course. The kid will not want to let you go then. You can also try to swing your baby in your lap. Or murmur a sleepy song until it goes to sleep. At this age of your child, the old crib may become too small. The new one may be a reason for the sleep regression. This is a new place for the baby. Some people cannot get enough sleep if they shift house or goes for training. The new place is a botheration for anyone’s sleep. Babies are more sensitive. So, it may not like the new bed at all. If that is the reason, all you need is some more time with your baby at night. Let the kid get used to. Do not forget to decorate the bed with the favorite toys. As we have mentioned before, the healthy atmosphere is a must for baby's sound sleep. Also, we have talked about less light. But, definitely, the room cannot be too dark for the kid. It may make the baby afraid. So, it will take a longer time to go to sleep. If it gets to sleep but wakes up in a fully dark room, your child will definitely start crying. So, keep a dim light switched on always to let your baby have a sound sleep.